At Whitney Blake, we regularly receive quote requests from our customers and are aiming to improve our turn-around time. 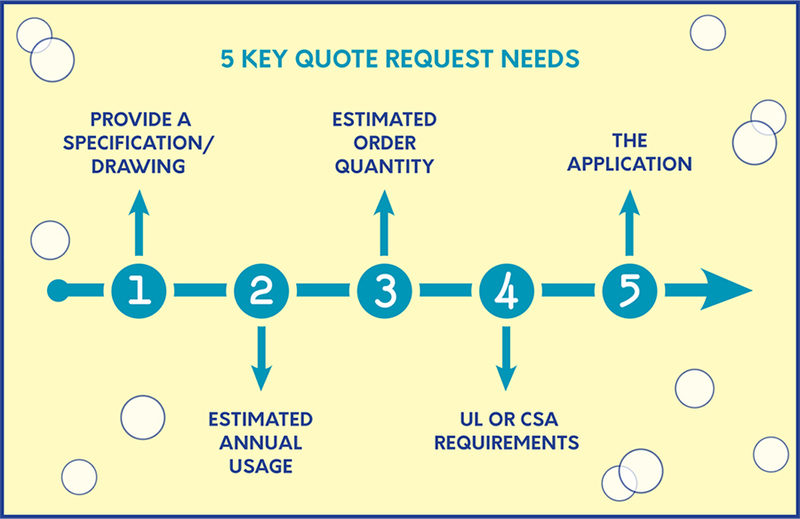 Above and beyond our Tips to Speed up Your Quote Turn-Around, there are just 5 key pieces of information that will greatly expedite response time if provided when requesting your quote(s). A Specification / Drawing – A picture is worth 1,000 words! Telling us what you’re looking for is great…better yet, sketch it out. Regardless of how descriptive your request is, providing specs and a drawing decreases the chances of misinterpretation. Are there UL or CSA requirements – Knowing what standards need to be met is critical. The Application – This is very helpful, as our engineers may recommend or consider design changes that may not have been previously considered.